see Last week, Chef Kevin Binkley of Binkley’s, Café Bink, Bink’s Midtown, and Bink’s Scottsdale, was the guest teacher at Les Gourmettes. Kevin is once again up for the James Beard Award for the Best Chef: Southwest. Fingers are crossed! http://maientertainmentlaw.com/?search=dosage-of-lasix Everything he made was, of course, amazing! The thing that I really enjoyed though was a simple, thick, tangy, creamy vinaigrette made without any vinegar. Strange but true and truly delicious. 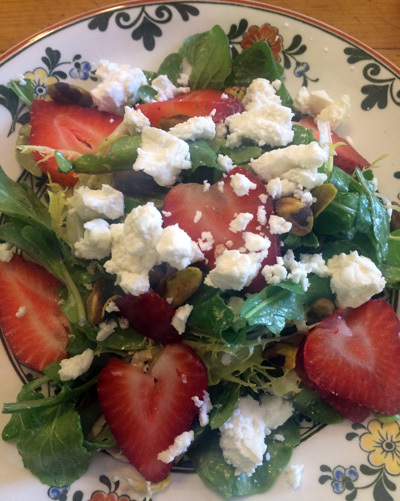 viagra generico prezzo a Venezia Kevin served the vinaigrette over a salad of arugula, strawberry slices, goat cheese and pistachios. I’ll be serving the same salad for our Easter dinner on Sunday. viagra canadian pharmacy Speaking of Easter Sunday, if you haven’t colored your eggs yet, hold off one more day because tomorrow I’m posting a new way to decorate eggs and a bunch of Easter Menu ideas. 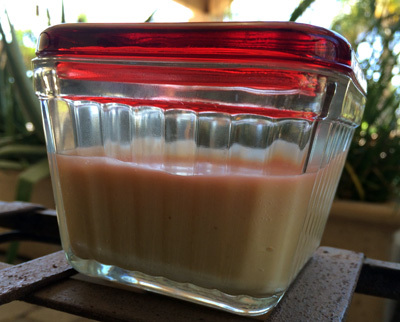 In a blender combine the prepared horseradish, maple syrup, egg yolks and salt and puree until smooth. Through the feed tube and with the machine running, slowly add the canola oil until incorporated, emulsified and creamy. Add grated fresh horseradish, to taste, then puree again.